He’s not completely thrilled about the news, but we’re praying he will change his mind. Recently, I’ve been asking him some questions and these are his answers. As you can see, all his answers are “no”. Pretty much that is his answer to any and everything you ask him. So, we don’t take it too personal about his feelings towards baby #2. He is such a little booger! And I love my little booger! I know I’m still only in the beginning stages, but its been a tough couple of weeks for me physically. I’ve always heard other moms say that the morning sickness is more intense with the second child, and whoa, were they right. 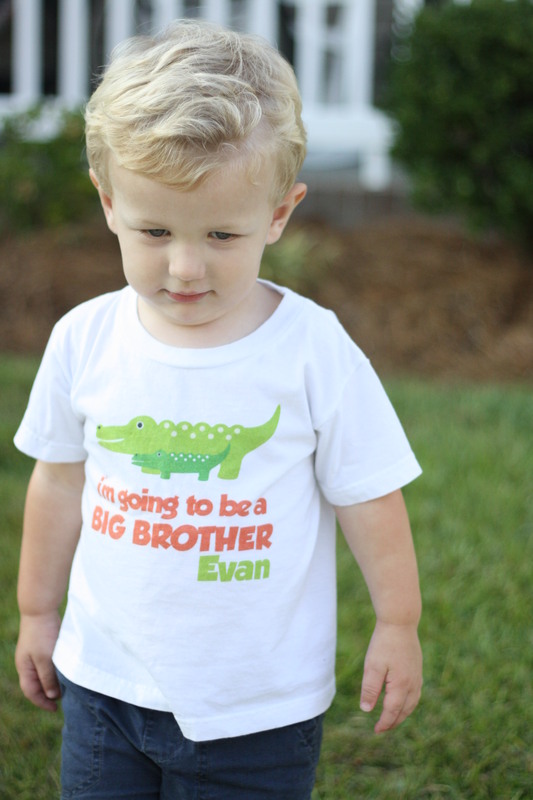 I still get nervous about making this announcement because to me, it’s still too early. I’m sure with any woman who has experienced a miscarriage or struggled with infertility, there will always be a slight hesitation. Thankfully, I have a husband who has an incredible faith and reminds me daily that we serve a merciful God. Even though this pregnancy came as a complete surprise to us, we are more than thrilled to be part of this blessing! In the next nine months, if you ever think you might need a self-esteem boost, continue to stay tuned and watch me gain an insurmountable amount of weight. Trust me, you will feel better about yourself after one look at me. The non-stop eating has already begun!